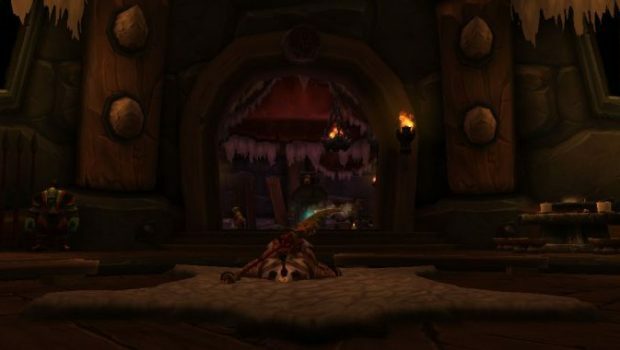 Pandaren submitter Andreios writes, "After a rough few hours in Hellfire Citadel, nothing feels so good as a soft, comfy ... wait, what kind of rug is this again?" Don't worry, sleepy bear! That's nothing but fine, premium taurenskin, direct from Mulgore. Want to see your picture here on BlizzCaps? Well, why not? Email your screenshots to [email protected], or tweet it with the hashtag #blizzcaps, and we’ll check it out. We prefer pictures with names turned off, and if you don't want your screenshot to get caught in our spam folder, please use the word "BlizzCaps" somewhere in the email.